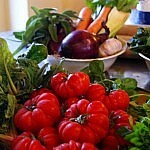 One of the most interesting and fascinating experiences in Tuscany is taking part in a private cooking class. 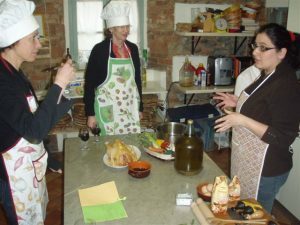 Tuscan cuisine is based on simple but tasty recipes belonging to rooted traditions and deriving from wise farmers who created recipes with the ingredients that they were raising. 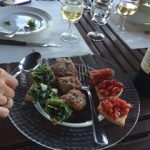 Arianna & Friends give you the opportunity to discover all the secrets of Tuscan food in interesting and informative private cooking classes organized for you on the traditional Tuscan farm of Rita. 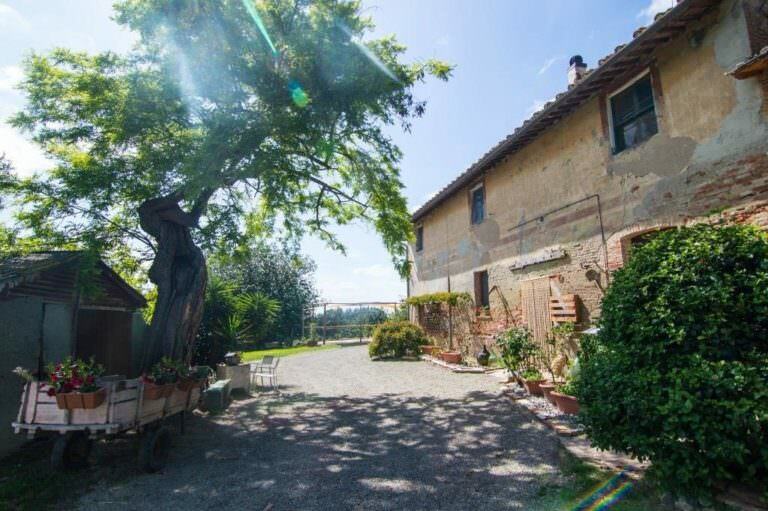 The farm is a wonderful estate in Montefoscoli, in the area of Terre di Pisa, between Pisa and Volterra. 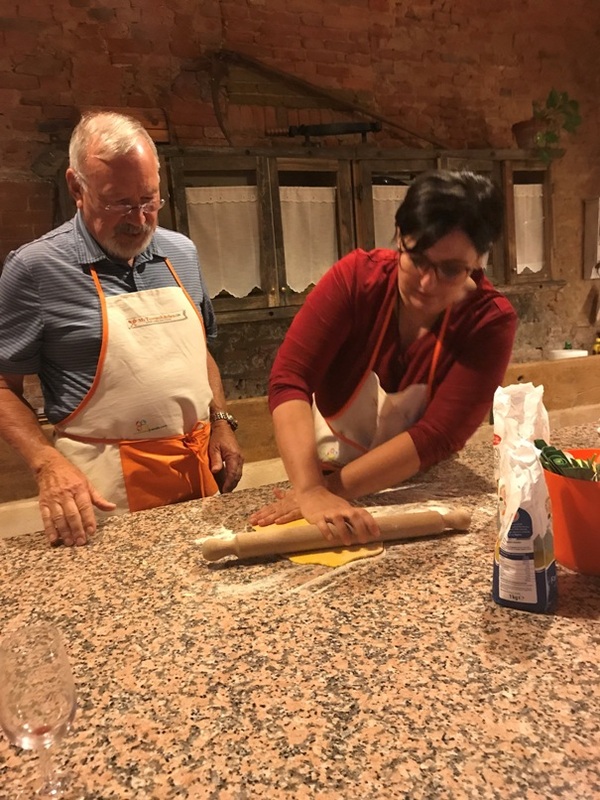 As the cooking traditions of Tuscany date back to the times in which the locals were mostly all farmers, the best setting for our cooking classes focusing on traditional foods is an original Tuscan farmhouse. 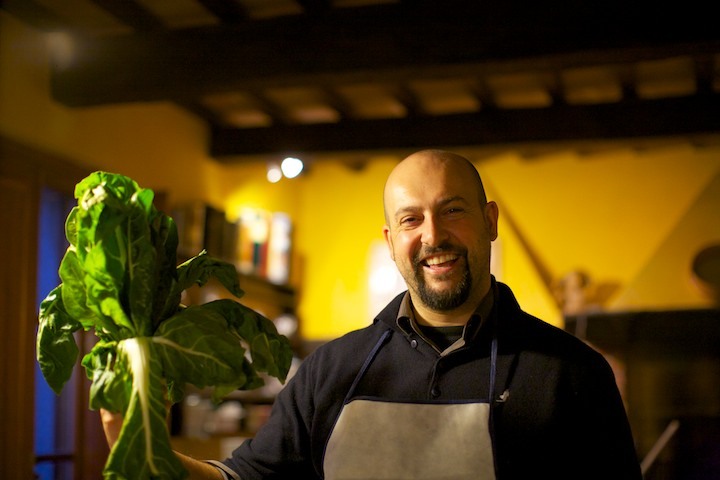 We bring you to Rita’s farm in the countryside just outside of Montefoscoli, between Pisa and Volterra, and we start our class with a quick historical framework to let you understand much about the origins of our cuisine. 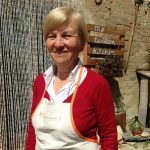 Our cooks are grannies who always cooked for their families and who during our classes prepare exactly the meals that Tuscans eat at home, using the same fresh and genuine ingredients with the help of very useful tricks. 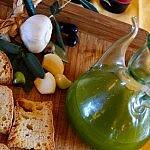 During the class we will use the extra virgin olive oil as well as wines of the farm. 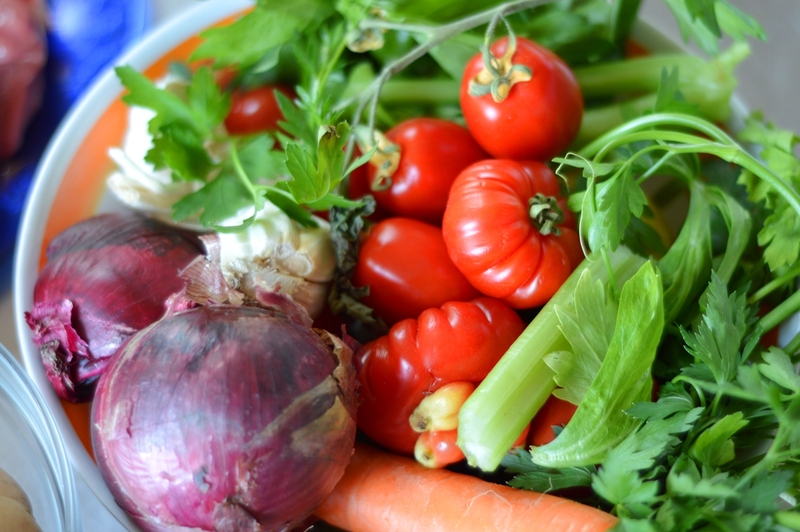 The duration of the classes ranges from 2 to 3 hours and they can be arranged in the morning or in the evening, before you sit at a table and enjoy all the delicacies you have prepared. You can choose your favorite menu out of a list of 10 options!! See below for further details. 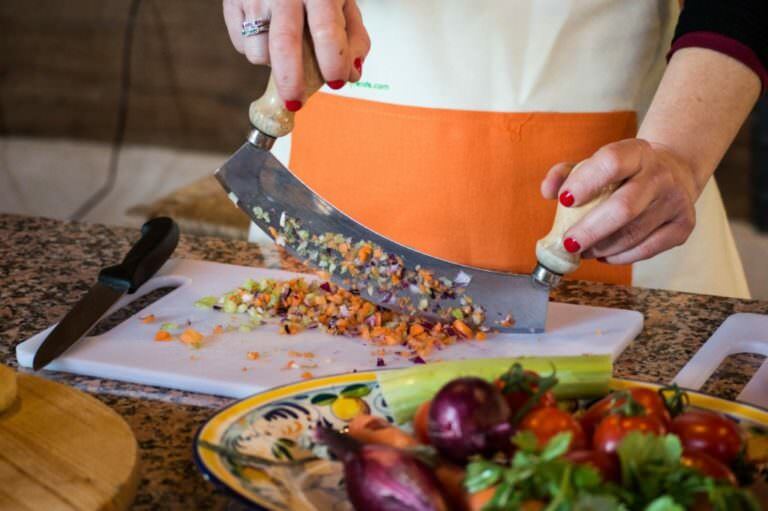 The class is your opportunity to prepare your dinner or lunch, which will be served at the end of each lesson. You can choose between an easy formula, with three courses, and a full formula, with four courses. 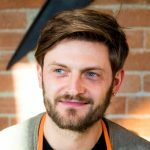 The courses can be chosen from a series of starters, primo and secondo main courses (according to the Italian tradition) and desserts. 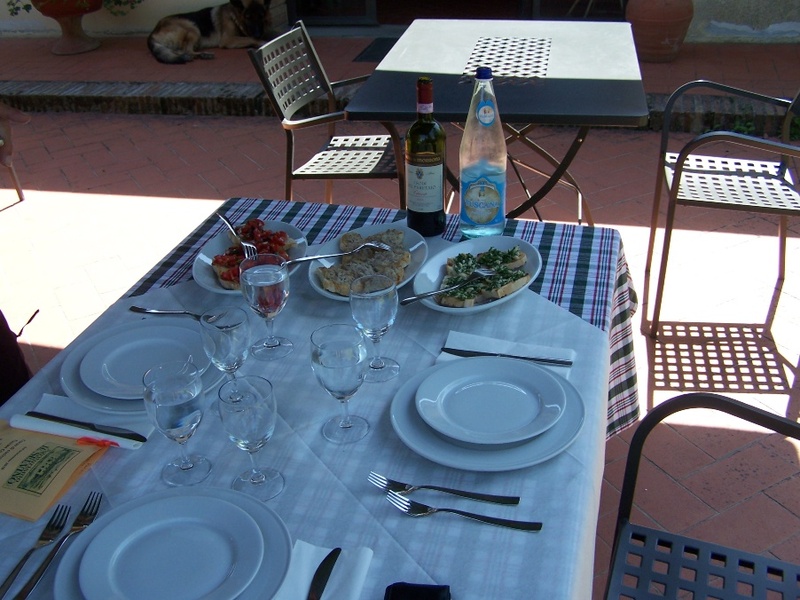 During the following served meal, local red or white wines will pair the dishes. 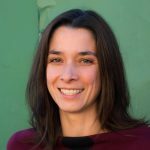 During all the experience, there will be a friendly and helpful English speaking assistant ready to answer any question of yours. 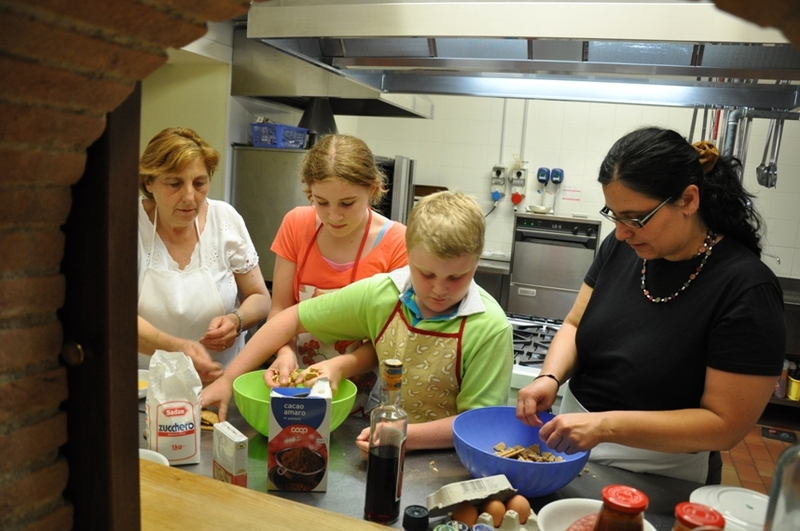 Remember that you can combine our cooking classes with any other activity of Arianna & Friends. Our cooking classes take place in the kitchen of a wonderful small family-run farm in the area of the Pisan hills, between Pisa and Volterra. 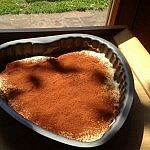 A traditional tiramisu is based on spongy cookies alternated to mascarpone cream, topped with cocoa powder and added with chocolate bits. 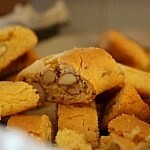 One of the most famous desserts of Italy! I just wanted to say how much my husband and I appreciate your accommodating our schedule by doing our cooking class on a Saturday. It made it possible for us to enjoy such a wonderful experience that was the highlight of our trip! 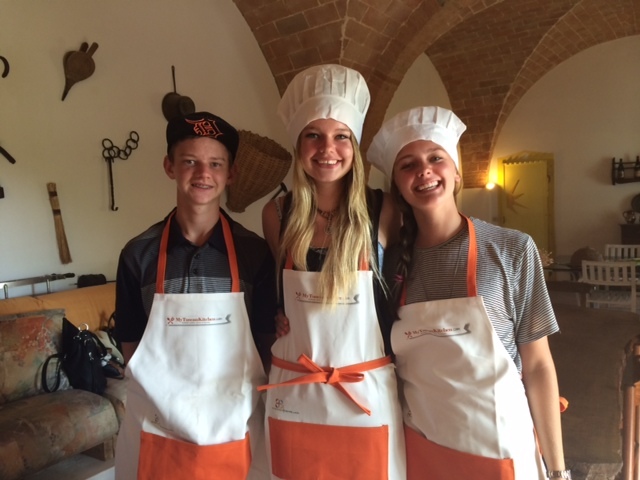 All your communication was prompt and professional, and the cooking class was truly a great experience! We will definitely be leaving a very positive review on Trip Advisor! We are back in Canada and sadly missing Tuscany. 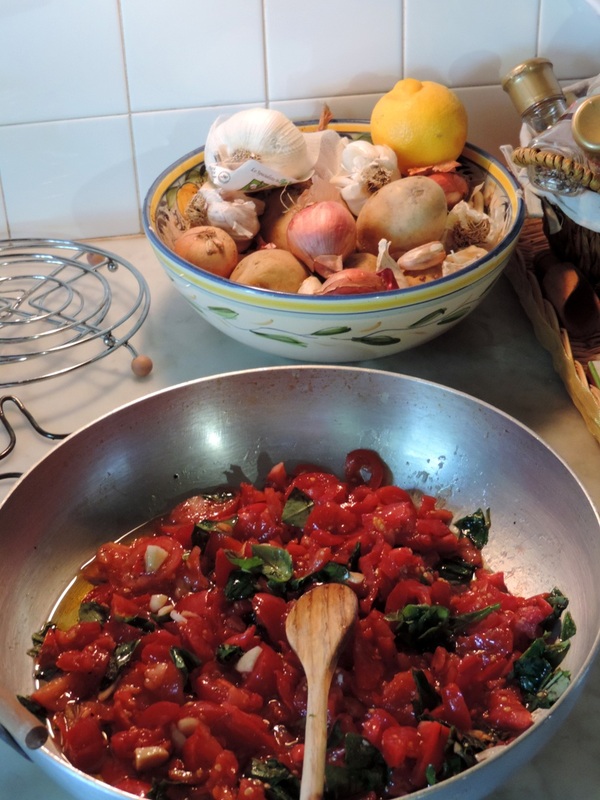 Greg has asked if I can make the risotto tonight and I have a quick question…..I know it is Sunday so if you do not answer me that is fine because it should be your day off. But just in case I thought I would email you. 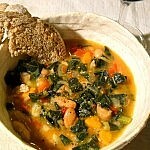 What kind of white wine would you recommend to use in the risotto recipe? 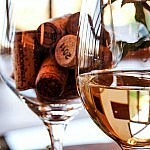 I have googled and it seems like alot of people use a pinot grigio. I will try that if I do not hear from you. Thank you again for a great experience it was a highlight of our trip. We had a wonderful visit to Rita’s Farm Wednesday morning. 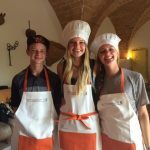 My friends and I all agreed it was the best and most rewarding experience of our trip to Italy. We got to preoare Italian dishes hands on!.Massimo was an excellent guide and teacher. We were impressed by his vast knowledge which he shared in such an interesting way. Silvia was patient and supportive. Her warm, sweet personality showed through language barrier. We really had fun learning to cook and appreciate Italian food and wine. We will always remember this class fondly. Thank you for making the arrangement for us. 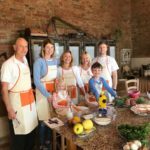 Would you please kindly send us the recipes on the 4 courses we prepared? Thank you. 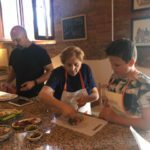 My family and I did a cooking class on October 11th with Signora Ester and Massimo. It was fabulous! A highlight of our trip. I would like to leave a review for you. Where should I post it? I wasn’t sure if there was a website I should go to or just leave a post on instagram. I think Massimo mentioned it, but I can’t remember. I was also wondering how much Rita charges for the extra virgin olive oil and if you can ship it to the United States? 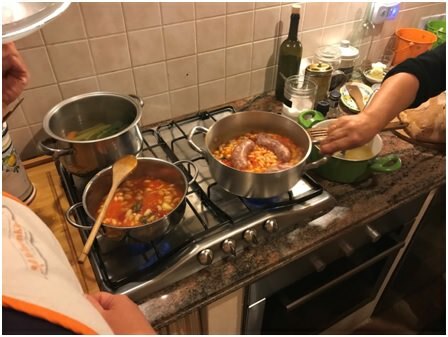 After cooking with Veronica and Silvia, Denise wrote us requesting the full recipes of the meal prepared! Will you send me those recipes, please? 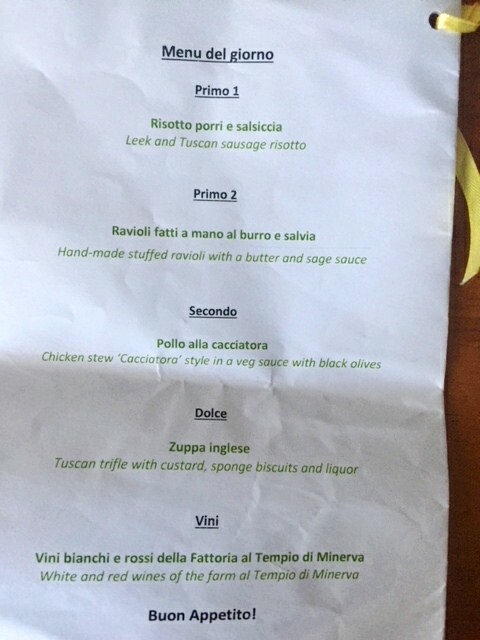 I am attaching a photo of our menu!! Thank you again…we’ll definitely keep in touch with you!! 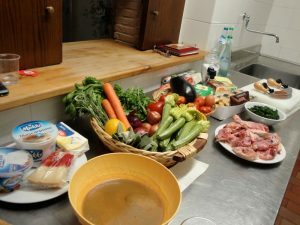 I write to you to commend the wonderful dinner that was provided by Ester and Caterina last evening. Myself and the other 7 guests thought the whole experience to be one that we will long remember. Ester and Caterina were both professional and engaging as they went about preparing the outstanding banquet. We are all agreed that we could not have had a better experience. 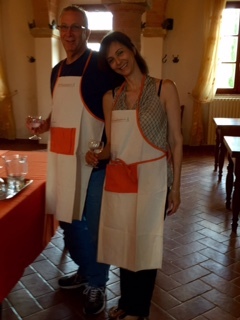 We would like to thank you all for a wonderful time in Tuscany this past week. We really enjoyed Daniela’s dinner at our apartment. 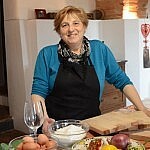 She is an outstanding chef and very friendly. We learned so much at Rita’s cooking class! 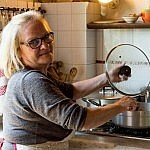 Her farm is amazing and she is a great chef and teacher! We spent so much time with her! We got to meet her family and enjoy long discussions. 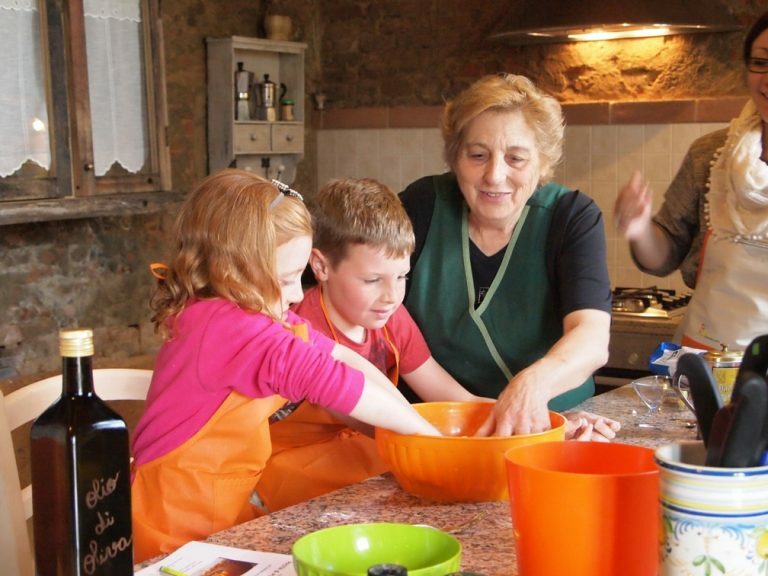 Rita taught us what Tuscany is all about! 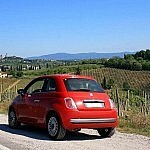 We also enjoyed the wine tour with Lucca. He was funny and so knowledgeable about the area. 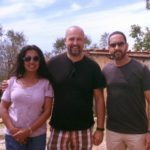 The wine tour of La Spinnetta and lucnh were so much fun! All three are friendly and generous people. We will be back some day! Hi, I have been meaning to write and express how all the family enjoyed our day with you. 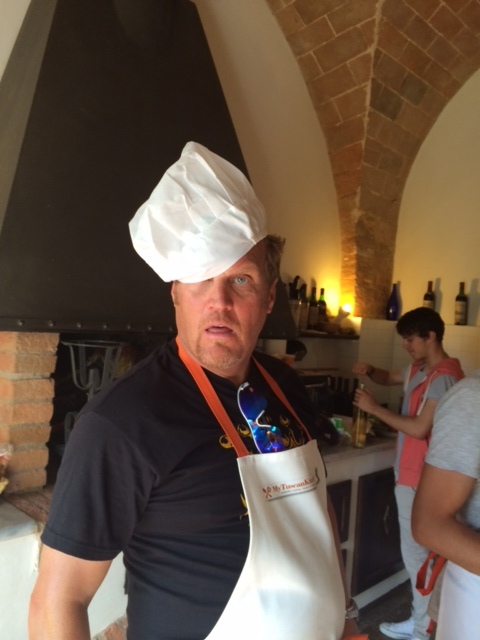 It definitely was the highlight of our trip to Tuscany. 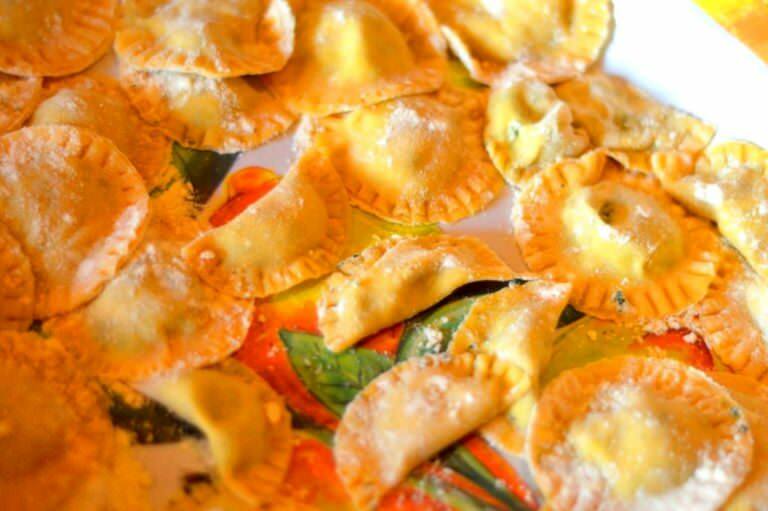 Everyone will be getting a mezzaluna for Christmas. We wanted you to have these pictures which reflect our Happiness. Buon Natale e Felipe Anno from all of us ! Thought you might like to see our two new friends. Also, pear and chocolate tart are great for breakfast. Thanks so much! Hi. 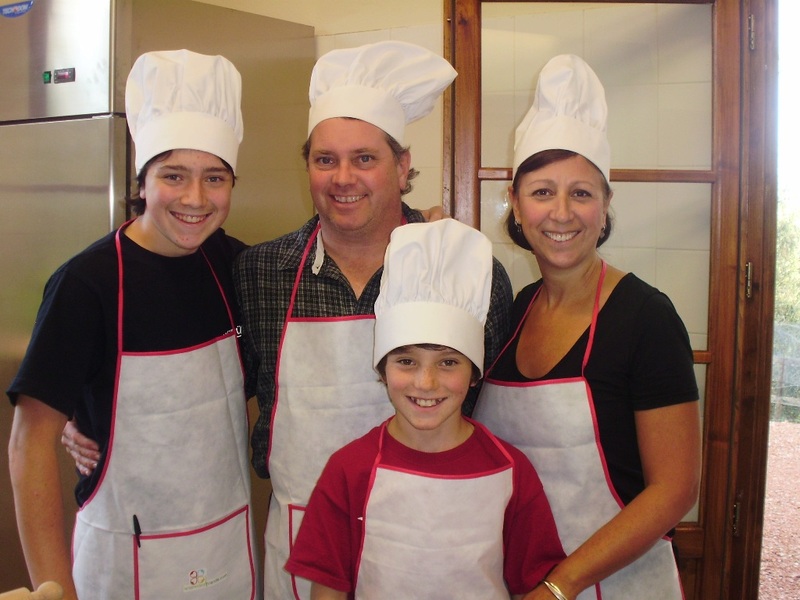 My family and I did a cooking class with you on July 3rd. My family and I loved it! We reviewed your company on tripadvisor so hopefully other families can also have a great day. Since returning home, we made almost all of the recipes. 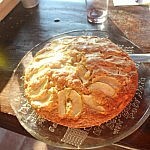 The one recipe that we have not tried yet is for the torta de mele because I think I wrote it down wrong. Do you have that recipe that you could email to me? In particular we are looking for the amount of baking powder. Hope you survived your busy weekend work schedule! As promised, I am sharing our pic so that you don’t forget us:). Thanks again for creating such a memorable experience for us. 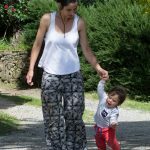 My girls especially enjoyed the day and we will be sure to recommend you to our friends when they visit the area. Also, if Toronto ever makes it to your list of international travels, be sure to drop us a note. 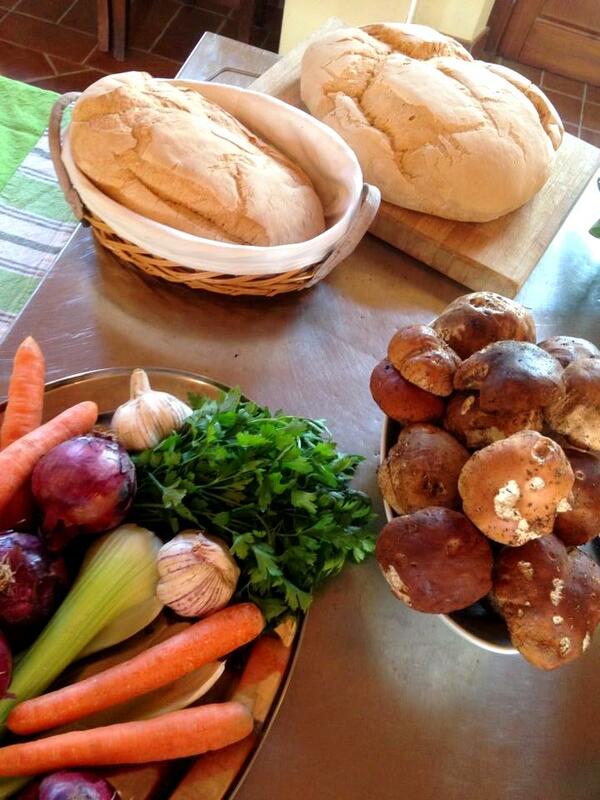 Lastly, when you get a chance (no rush), can you be sure to email us the recipes for the amazing dishes we made? Grazie:). Enjoy the rest of your summer and hopefully we’ll see you again. 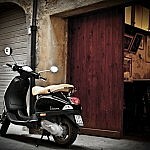 Brenda, Austin, Bill and I made it back to Austin, Texas from our wonderful Italy experience. 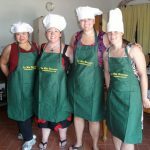 I will tell you that the highlight of our trip was the cooking class we had with you and Daniella. You have a gift for what you do and a passion that was very evident. 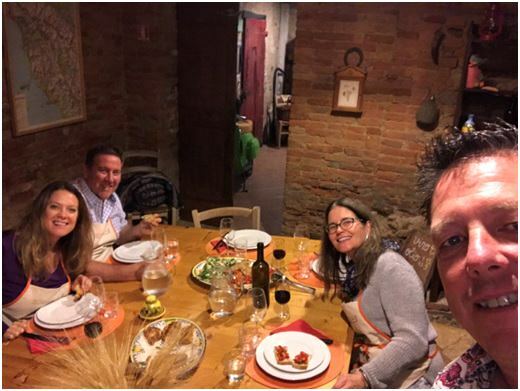 We loved the farm, Rita’s wine (I know that I enjoyed it a little too much because it was the best wine I had tasted anywhere in Italy!! ), we love Daniella’s expressions and smiles and we loved YOU. 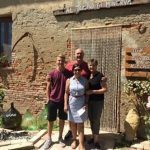 My boss and family will be coming to Italy in the summer (he lives in Nashville) and I am sending him your book and letting him know he should not book any tours with anyone else except you. 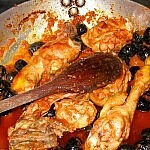 You mentioned while we are there that you would send us the recipes that we made that night along with a few others. 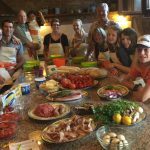 We have selected the following…..
We plan on inviting a few friends over and cooking the dishes that you have shared with us. I now know why you have chosen “Arianna and friends” as your company’s name. Thank you again for helping us make some memories. This is an email we received from Tamra, who took several tours with us. It was very fun having dinner with you tonight. Please tell your fiancé -next time we will eat together 😉 Thank you to you and your mom for the limoncello as well – I cannot wait to try it! What a perfect end to a fantastic week. Stay in touch and visit us in Utah! I wanted to take some time to thank you so very much for this experience. I have been meaning to write you sooner so I truly apologize for it being so long. We had such a wonderful time with you and Ester! Luke was mesmerized by how beautiful it all was. 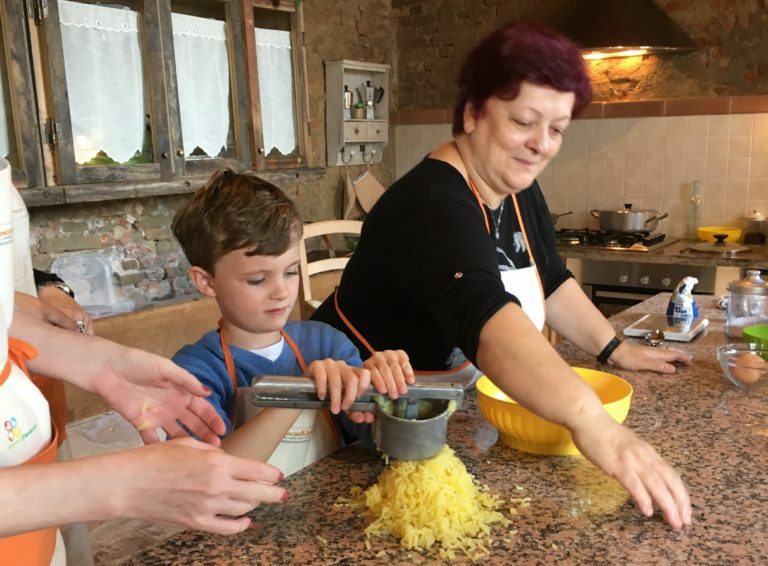 For a 14 year old boy to experience Italy is one thing, but for him to have the opportunity to learn to cook with an absolutely amazing lady was another. He had a truly wonderful time. Now he won’t eat anything but Margarita Pizza! Ha! Scott, Joyce and I were so relaxed and couldn’t believe we had spent 6 hours cooking and eating. We will be back next year! Thank you again for your hospitality. Well, we’re back home and settling back in – and getting over a cold I got on the plane. 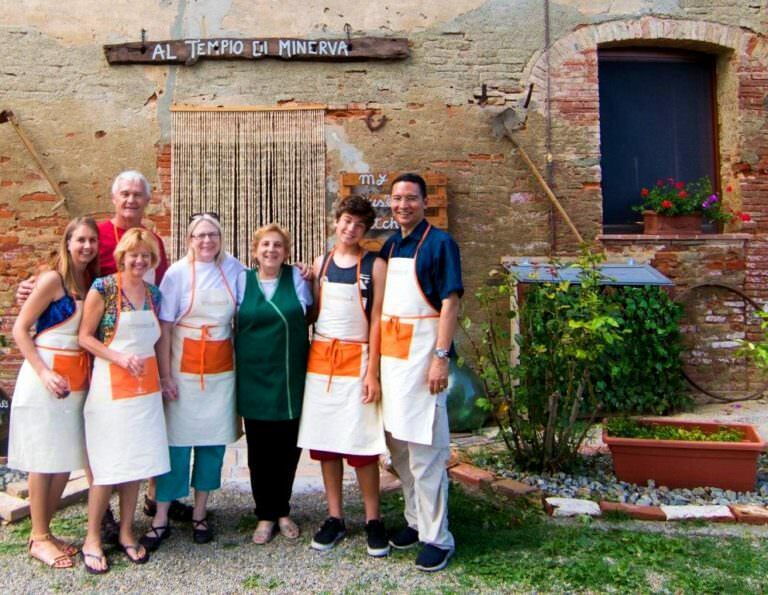 We had a wonderful time in Italy and cooking with you and Ester was definitely a highlight of our trip! 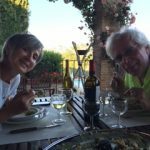 Everything about it was wonderful – you and Ester make a great team! Could you please send me the recipes? 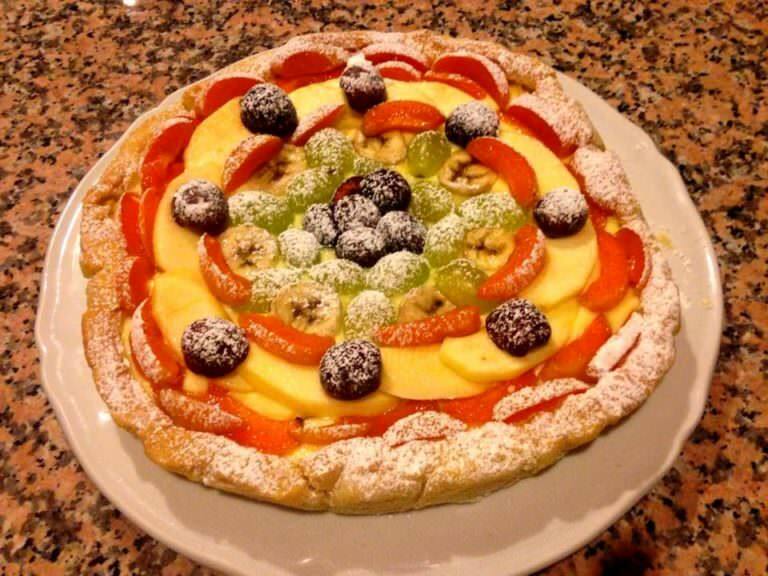 My brother-in-law (who never cooks) was talking about how much he enjoyed Ester’s apple tart. He’s visiting us next weekend so I want to have everything ready for him to make it – he’ll enjoy it! 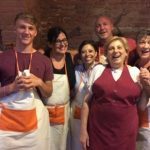 We had so much fun – grazie! Grazie! Grazie! You’re an absolutely delightful person – so glad we got to meet you! I hope you have had a wonderful summer. We miss our time in Italy so much. 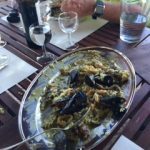 I am planning on making our seafood risotto and I can not find our recipes. 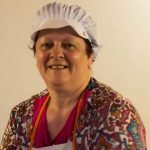 Would you happen to remember our event and be able to forward me our recipes? Last night was a wonderful night. Every one was so happy. The food was outstanding, Carla was so kind and you were very patient. And best of all Dave said he liked eating what he prepared! We can hardly wait for our lunch today. My pictures are not great. Dean and marci have some beautiful ones but we have to figure out how to download them from his camera to a computer. I will send you more as we get them. We are off to Volterra this evening for a bit of site seeing and then dinner. Any suggestions where we should eat. We want to thank you once more for the lovely evening we enjoyed during your cooking class on May 4th. It was the really the best experience (and diner!) 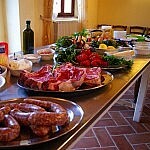 we had during our stay in Tuscany. 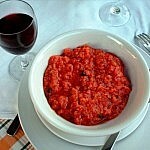 We have prepared several Salamino’s ever since then! 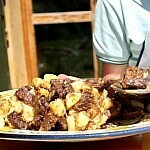 After the course you’ve told us it’s possible to send us the recipes. We would be grateful if you could send them please. Thank you and we hope to come back once more or at least tell our friends about the wonderful food experience. Gil, Judith, Alisa & Lior. 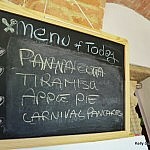 Thanks again for a wonderful day of cooking during our cruise stop in Livorno. 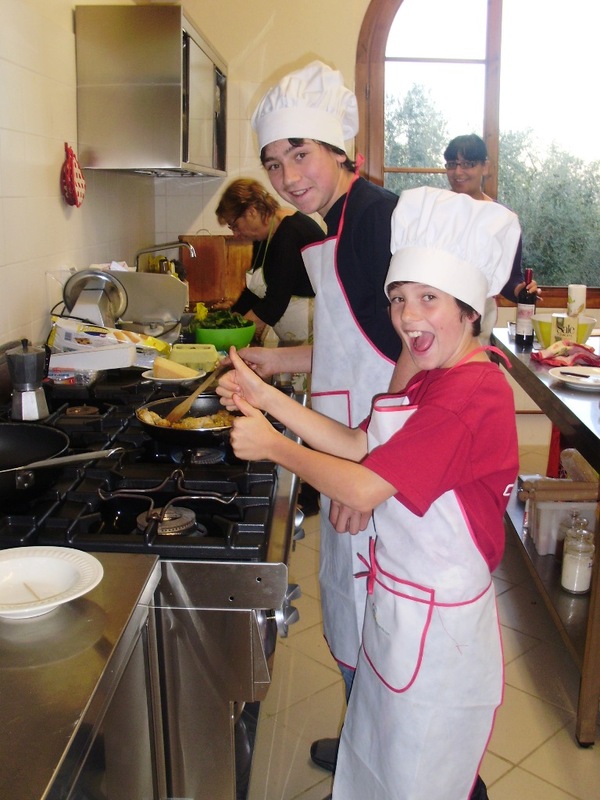 We had a great time cooking and made it to Pisa just in the nick of time. (Thank Moira for telling me about the bag check — we ended up leaving our things on the bus and that saved us a lot of time). 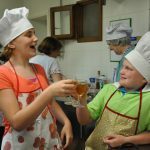 When you get a chance, we would love to have the recipes for the items we made. 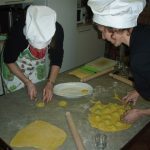 The girls and I made pasta the other day — it came out pretty well, but not quite as soon as when you helped). 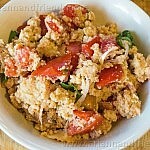 If you send the recipes to me I will get them forwarded to the group. We just arrived last night at home and have not stopped expressing our love for your country! 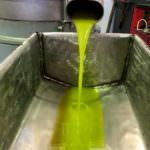 I would be honored to enjoy your father’s olive oil in America! 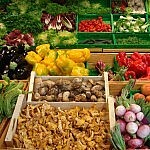 It will not be anything that I will be able to buy here and I would love to have the Taste of Tuscany again!! I have enclosed my work address so I or someone would be here! Thank you for your time with us and we have so many memories, thank you and Arianna for providing us this service! 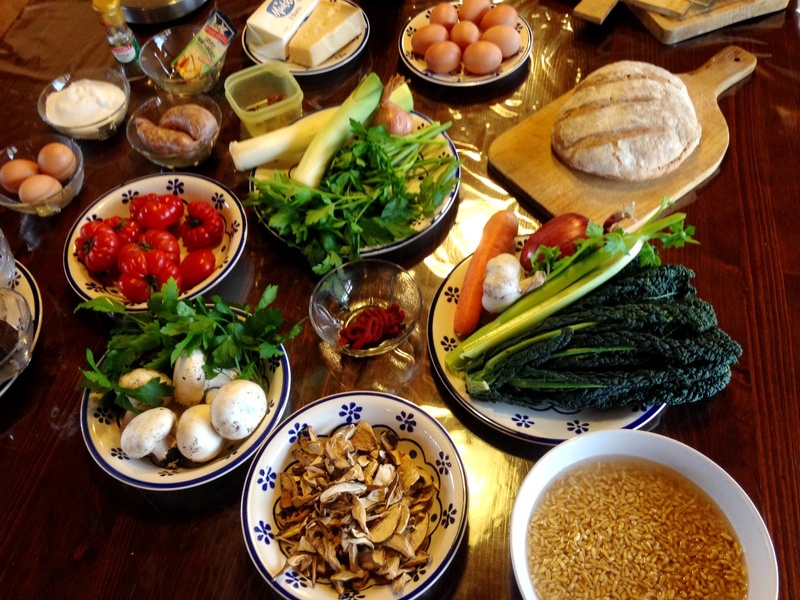 Please send the recipes of our cooking class, the salad recipe that we all enjoyed so much!! And pictures!!! If you wanted me to write something up so you can place on your website, I would be honored to do that!! 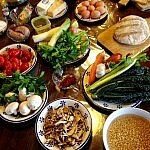 As you know, my party reserved a cooking class for last Wednesday, 9-March. We were treated to a wonderful time with Signora Ester and Veronica and truly enjoyed the time we spent with them. 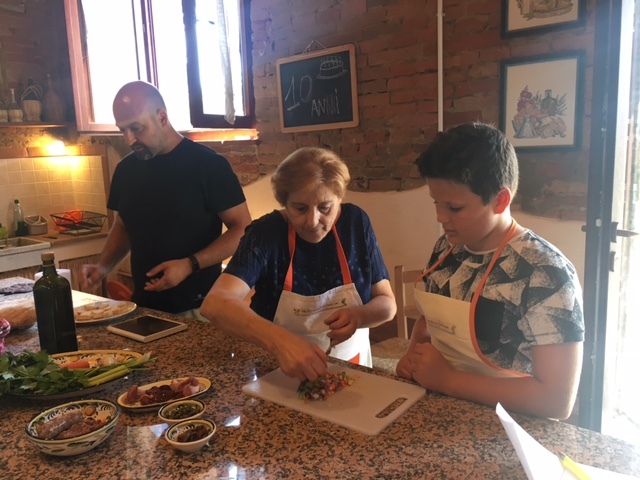 Veronica and Ester taught us quite a bit about Tuscan cooking and we are looking forward to doing our best to re-create the same dishes in our home kitchens in the U.S. Thank you once again for a wonderful evening in Tuscany. We look forward to trying out the recipes “solo” in our American homes. This is the message of gratitude that Tom and Julie wrote to Veronica after a cooking class she gave them. This was the first time Veronica was holding a class and it was certainly not bad for a beginner! Veronica, I must apologize that I did not write sooner. Two days after home I was on a plane to Chicago for a very sick Uncle. One week later both Tom and I are back on a plane to Chicago for his funeral. I think I still have jet lag! 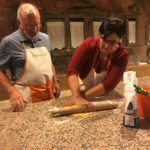 The Tuscan cooking class that Tom, Carol and I took with you at your Tuscany location was all we had hoped for and more! Tom and I cannot wait to make the risotto and you can be sure that the Tiramisu will be on our Holiday Menus this upcoming Christmas season. I have also already purchased a mezzaluna and enjoyed using it to chop the celery and onion for my stuffing for the Thanksgiving turkey. 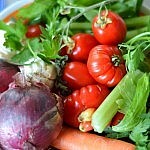 Certainly was better than putting the celery and onions through the Cuisinart as I usually do. It only took a few minutes more. 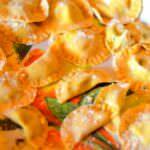 We are also giving each of our 3 children a mezzaluna for Christmas. We just loved the style in which you taught, the techniques you demonstrated and the “to many to mention” traditions and hints that you included in our time with you. As I said, this day more than met our expectations. 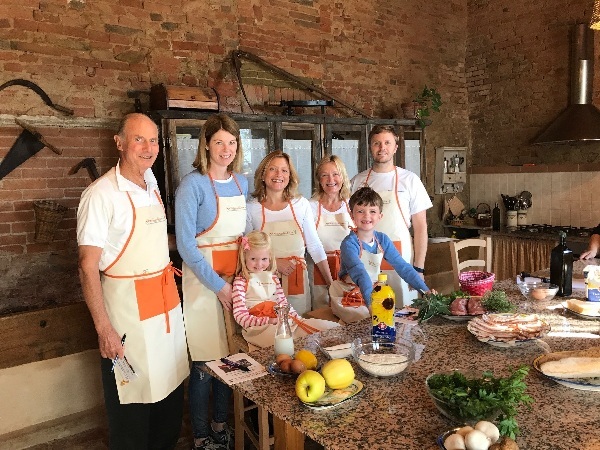 We are still telling our friends and family about our Tuscan cooking adventure: It was truly one of the highlights of our holiday. 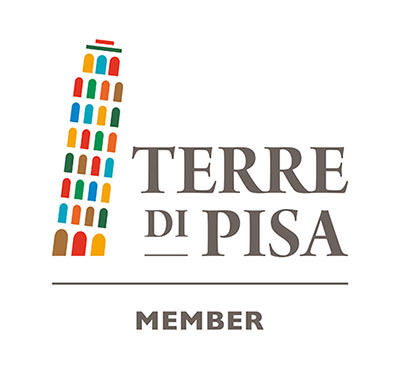 I have emailed our travel agent with information about your establishment so that if he ever has a request from any of his clients for a Tuscan cooking class he has all of your information on file. 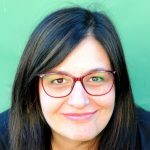 I also told my friend who writes an Italian food blog about your course offering and our wonderful experience with you and the Arianna and Friends Organization. I believe that Tom has emailed you the pictures we took that day. If you ever need a reference or recommendation, please do not hesitate to ask. Again, I am so sorry that I did not write sooner. I hope most sincerely that our paths cross another day and another class. May God bless you and your family this special season of the year and may the New Year bring you and yours much happiness and many blessings. It was a pleasure to meet you. It was a great day. Claudia and Her family were very gracious. I learned many things from her. Luca was also a great guide. He was very helpfully with information about a region he obviously cares for. 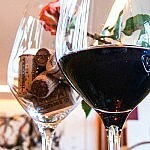 He is a great representative for the “new chianti”. Please thank everyone for me. I hope that some day are paths will cross again. I wanted to write and thank you both and your staff for all of your help on our trip. 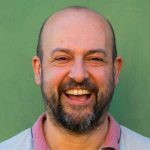 I have actually always done all of my own booking and arranging, but was drawn to your website and all of your subsequent follow up. I am very happy with the experience (despite the weather:) and I will absolutely recommend you to our friends here in Milan. My parents had a fantastic time too and I was so glad to share it with them! Hoping you have a great new year. Thank you so very much for arranging our cooking class in late November. It was amazing. 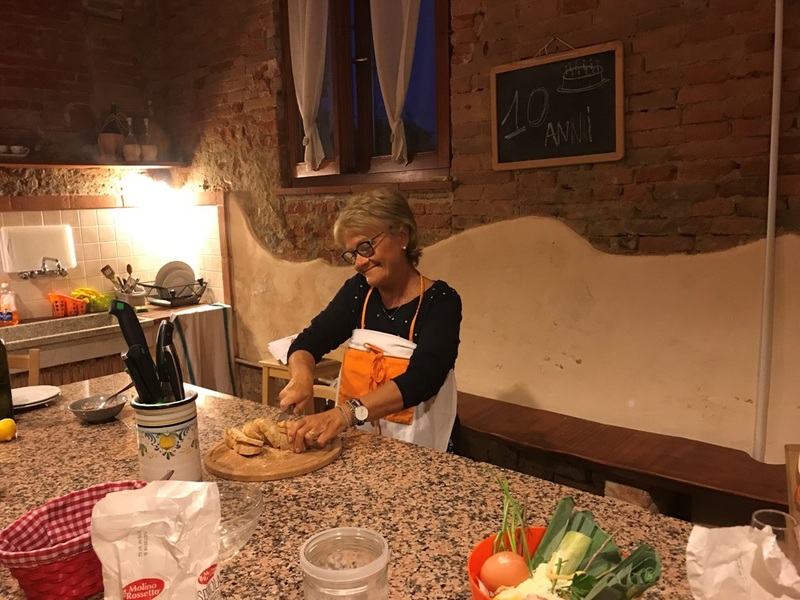 I would like to thank you for organizing my cooking lessons and wine tasting, it was a wonderful experience and Ester is such a good cook and so warm and Massimo is so lovely and a fantastic interpreter, his knowledge in Italian cooking and Italian history really add to the experience. It was exactly what I was looking for and more!! 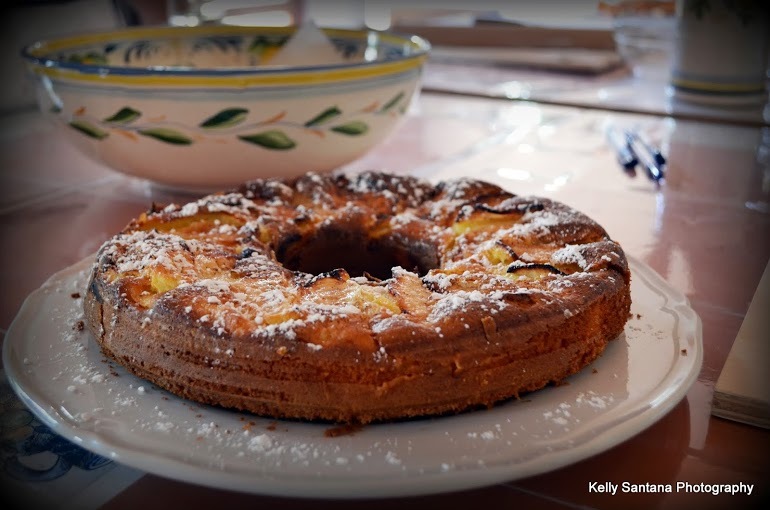 I would love to have the recipes, Massimo did take notes for me but I would love to add mine too, especially that it is still fresh in my memory. Hopefully he can send them to me very soon. You can be sure I left with my very own mezzaluna, I am ready to do some serious Tuscany cooking!! We appreciated a lot all activities organized by you. The hospitality from Alessandro, we felt like home. I had better start taking Italian lessons! I truly mean it when I say you are welcome to come to Vancouver. 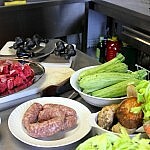 We don’t have a ton of space but we can offer you a bed and a bathroom and great food and company. Bring Esther too! My mum would love her to death. I am a teacher and have summers off so I could show you around etc. or if you come in the winter i can teach you to ski! and you can teach me Italian…. here are some photos…yes please use them as you wish. we had such a wonderful time in europe and especially loved italy. cannot wait to come back. 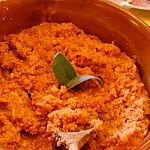 we have made the tiramisu and the soffritto and pasta for friends about 3x so far! 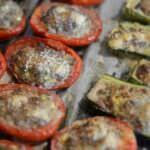 we are getting really good with the mezzaluna! thank you again for an amazing experience. Ciao! 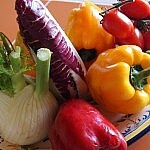 We just had to send you a note to express our thanks on assisting with our plans while we were in Tuscany. All the arrangements that you made for us went very smoothly. 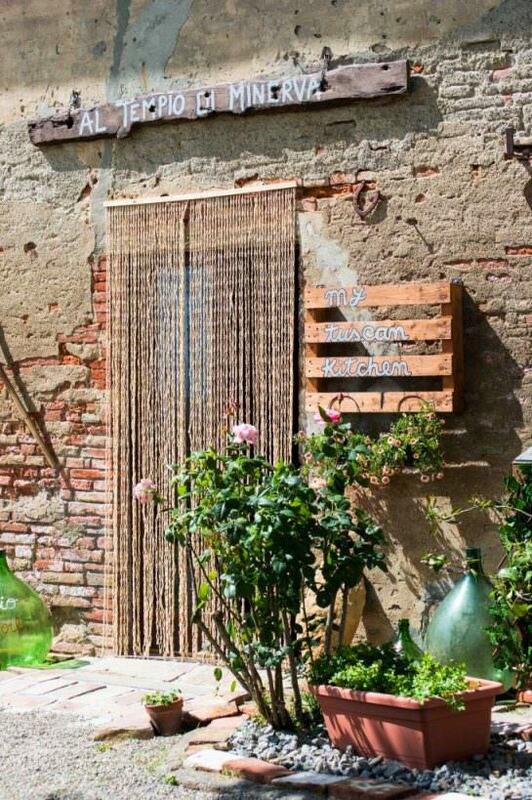 We loved the 2 bedroom apartment at the agriturismo. Alessandro was a delightful host. 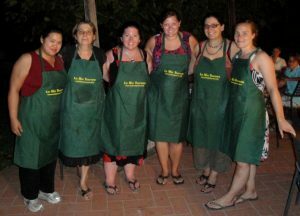 The cooking classes were too much fun. Many thanks to Massimo and Esther for teaching us the regional (and delicious!) recipes. 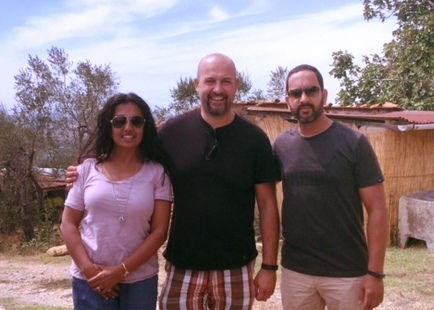 Massimo’s information and guidance about the surrounding towns was invaluable. 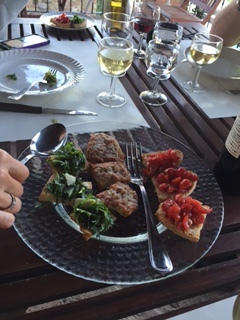 We were able to really get a feel for Tuscany even though we were only there a week. 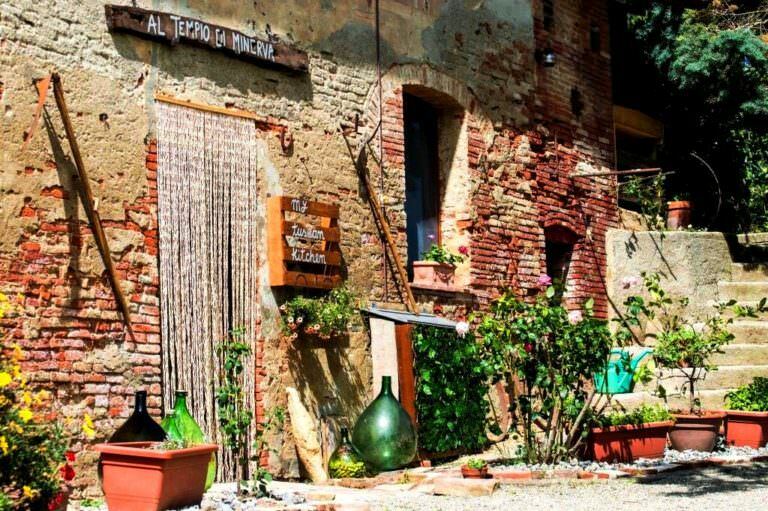 We will highly recommend you to anyone who mentions that they are planning a trip to Italy. We wouldn’t hesitate to enlist your services again. Many, many thanks! 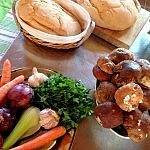 I want to extend a “mille gracie” to you and your staff for making our cooking school, experience a fun event. From the very beginning your prompt response encouraged us to use your school over others. You were warm and very helpful. 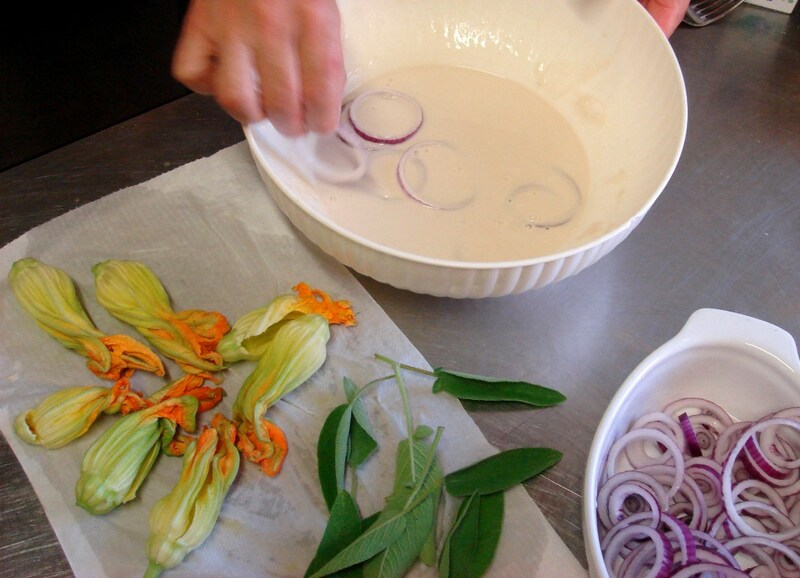 Massimo and Ester were a delight….their energy, enthusiasm, patience and passion for food and cooking was evident. And Consuelo came to the rescue when someone filled the sugar bowl with salt!!! 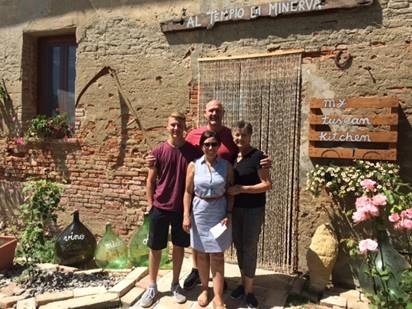 The grounds of the agriturismo were beautiful and we were fortunate to meet the owner who talked to us with pride about his wine and olive groves. 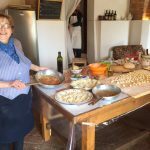 The food and wine were delicious under Ester’s and Massimo’s guidance. Our only disappointment was that we did not get to meet you. Again, thank you and we hope to encounter Arianna & Friends again. 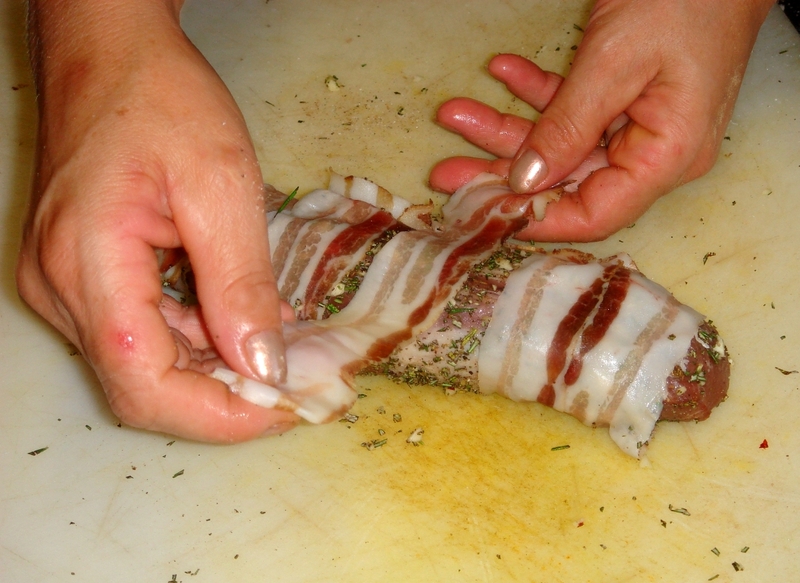 Massimo said he would be sending the recipe’s to me, when he does I will forward to the rest of the class. 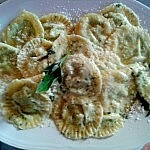 Where can we get a mezzaluna just like the one we used in class? Thank you so much for the fantastic day you provided for the girls last week. It really was the highlight of their trip, one girl texted home that day and said ‘this is the best day of my life’. You can’t ask for more praise than that. Lots of the girls were saying that as soon as they got home they were going to make pasta and tiramasu! They were impressed! If I can do anything for you in terms of reccommendations please let me know. 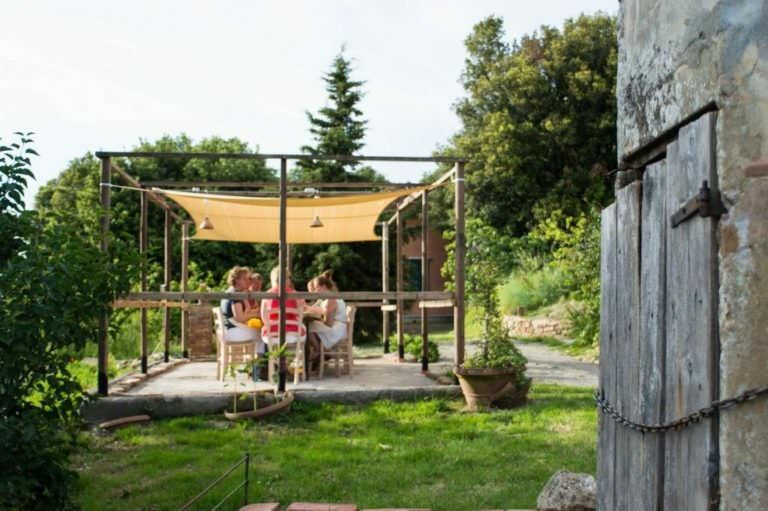 When we return in two years I will be asking you to provide the same if that is ok.
On a seperate note, having being back to Tuscany last week I am desperate to come this summer, without 54 girls so I can enjoy it. I love it out there. Do you know of an apartment that we could rent? We will need to be on a budget unfortunately, but there will be 3 of us and we don’t mind if its a one bed with a sofa or a sofa bed to sleep on for the third person. We love quieter places with gorgeous views, as I am sure everyone does. Any help would be greatly appreciated. Thank you again. Everything about the day was so professional and so fantastic. 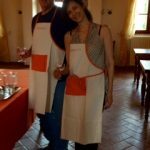 We had a wonderful time at the Agriturismo Olmo. Our apartment was amazing and very roomy for four people. It was the most comfortable place we stayed in Europe. 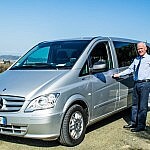 We enjoyed visiting the hill towns of Volterra, San Gimignano and Lucca. 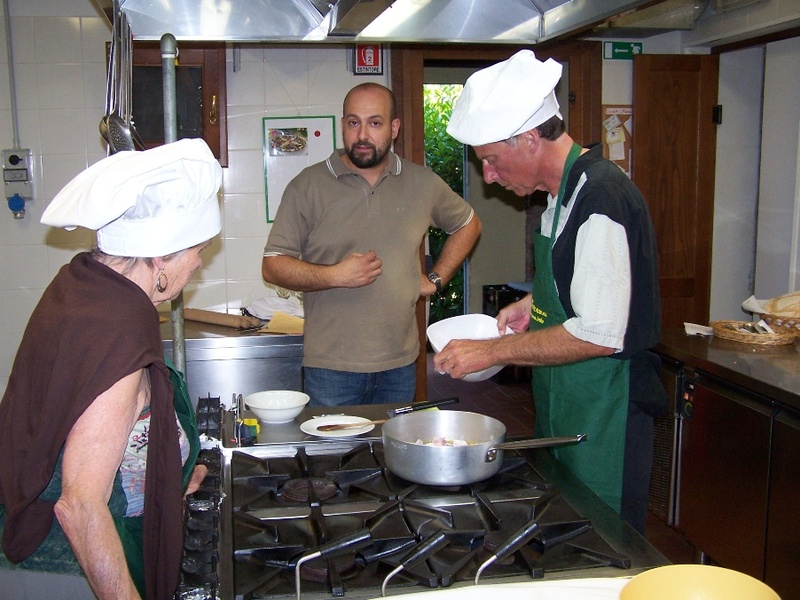 The highlight of our trip was the cooking class with Chef Lucia and translator Massimo. 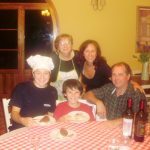 They were both very warm and welcoming, and the dinner we made was wonderful. I will recommend your services to my friends, family…. and anyone I know who plans to visit Italy! 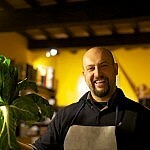 Massimo promised to send us recipes of the dishes we made, if we contacted him through Arianna and Friends. Could you please forward my email address to him, so that we can receive the recipes? Thank you so much. Here are the photos we promised. Thanks again for everything and let us know if you are ever in Stuttgart! Thank you again for a wonderful evening! My family and I agree that your class was one of the highlight of our trip. Both you and Ester were so good with the children (and the adults). Once I get over my jetlag we’re going to get going on making some pizzas and pastries. It was wonderful to meet you, and THANK YOU arranging an incredible time for us in Italy. 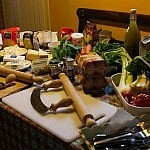 Everything was wonderful, the cooking lesson so much fun and so informative. I have eaten mushroom crostini about 5 times since I have been home, and just bought semolina flour for pasta. Now I just need Carla. I included a few pictures, and there are a couple more coming next email. We heard about the earthquake a couple days after we returned from Italy, I realize that it didn’t strike Tuscany. But I do hope that your family and friends are safe and not in harms way. Arianna, thank you again. We will be back! Probably not for a year, but I will be in touch again. Hi Arianna! I’m sending this to two of the three addresses I have for you, hoping one of them will get to you. Which address do you want me to use in the future? I have to thank you again for the wonderful trip you arranged for Jan and I! It was perfect in every way! We enjoyed the cooking class so much and Carla was such a joy to meet. I’ll write more later, but just wanted you to know the rest of our trip was great; the hotels in Fiorenze and Pisa were very nice also. I’ll write again after I give attention to the 100 million e-mails I have waiting for me! 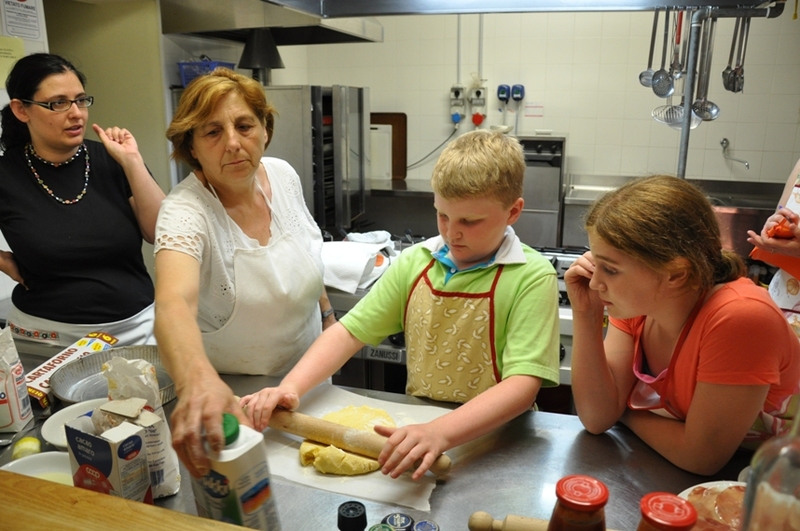 This is an email we received from Jill, who brought her family to our cookery lessons with Veronica. 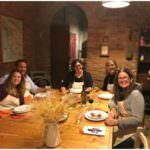 This is an email we received from Robin, who enjoyed a private cooking class with Veronica and Ester. When we return to Denmark next week, I will as promised send you some pictures from the day. Please send our love to Ester. Hope to meet you again next time we go to Toscany. 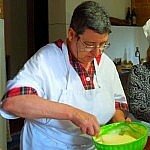 I would like to thank you and Carla for your patience and for your good instructions on preparing real Tuscany meals. As soon as I try to execute at home what I learned with you both, I will report the results to you. We had a nice trip back home and now is time to go back to work. 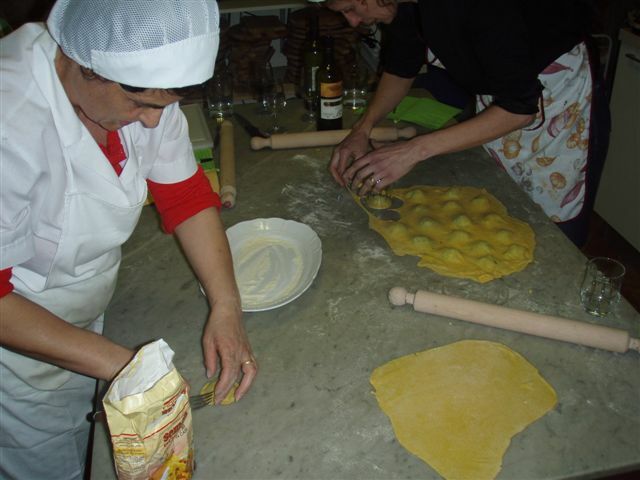 This cooking class takes place in the rural area of central Tuscany, among Pisa, San Gimignano and Volterra. 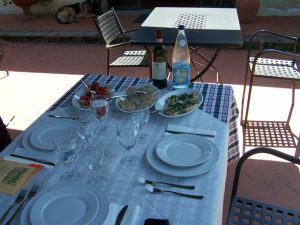 Unless differently specified, the meeting point with the chef and the assistant is directly on our farm in Montefoscoli, near Peccioli. 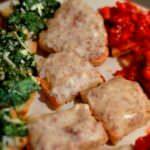 This program takes 5 or 6 hours: 2 to 3 hours for cooking and the rest for dinner/lunch and relaxation. Time for transportation not included. Available all the year through, from Mondays through Fridays. Timing is flexible. After a morning class lunch is served. After an afternoon class dinner is served. 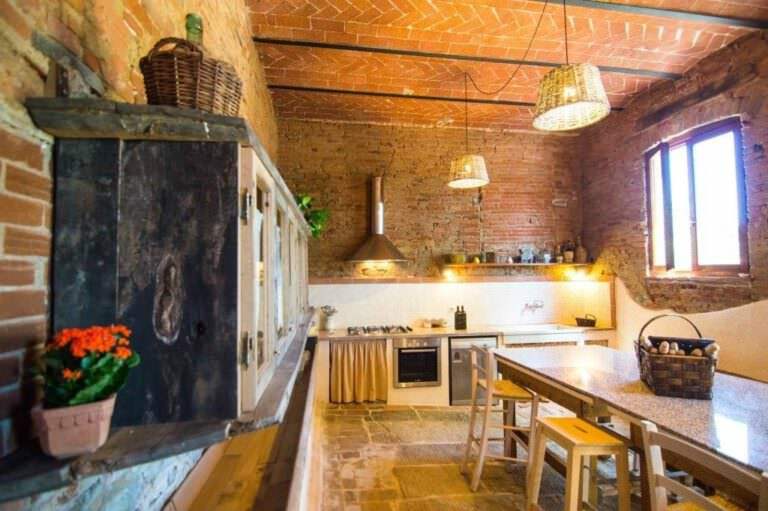 Relaxed and informal cooking venues at an organic family run farm in the Tuscan hills between Volterra, San Gimignano and Pisa. 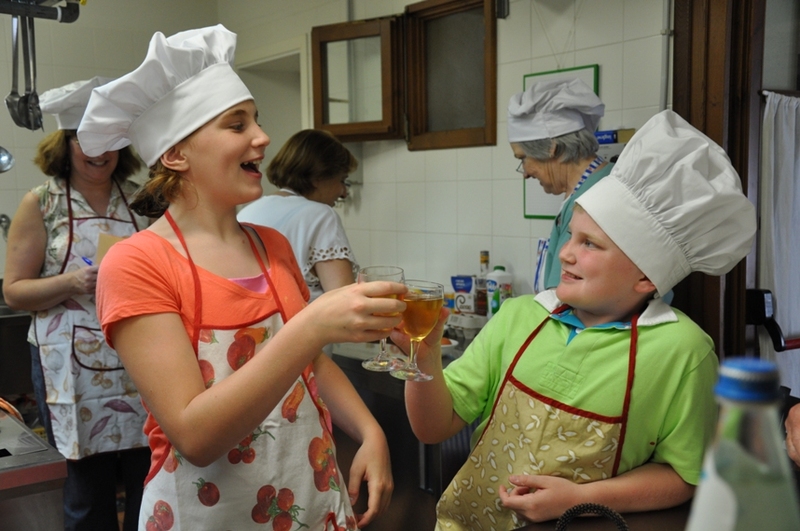 Preparation of simple and genuine food and a lot of fun with the granny chef.